Home > Science & Nature > Paranormal Phenomena > Photos of Chupacabra in Texas 2011? 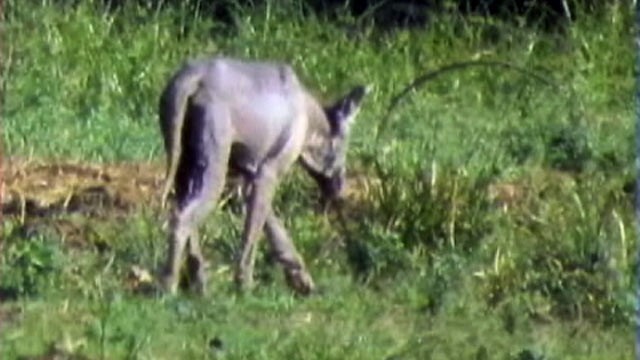 There have been a new sighting in 2011 of the Chupacabra in a Texas ranch. I wonder if someone took photos of the Chupacabra this time. I keep hearing people see the creature but no one ever takes a clear photo. Last year a farmer found a body of what he thought was the Chupacabra but it was in fact just a sick coyote. Has the Chupacabra been spotted for real this time? Are there photos of the creature? There is no real evidence that the mysterious Chupacabra creature exists. Over the years, there have been alleged Chupacabra sightings all over the south of America, and that always created quite a reputation for a creature that most experts say doesn't exist. This is the picture recently taken of the Chupacabra, as you can see it looks like a malnourished dog. If you ask me, the Chupacabra is just a myth. It never existed. Well, they caught a Chubacabra and a guy said it was no dog he knew. Also one time a lady's dog (a big German shepherd) got into a fight, and she went outside. It was fighting, apparently, a Chupacabra, and the dog was killed. The thing killed one of the lady's sheep, by biting it with 3 holes in its neck like the signature kill of this monster. I believe that with sightings like this, they exist. But I doubt they're monsters. Just very misunderstood animals, like how wolves used to be like. Similar Threads for: Photos of Chupacabra in Texas 2011?